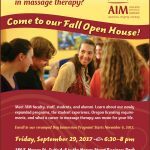 Remember AIM Fall Open House is Friday 29th – Join Us! 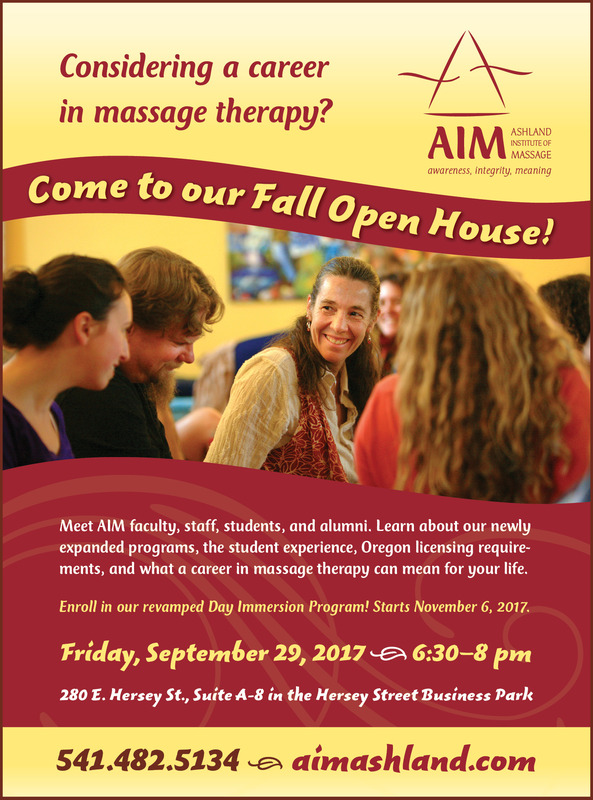 Home › Blog › Admission, Massage Therapy, Students › Remember AIM Fall Open House is Friday 29th – Join Us! Remember to join us at AIM Friday, September 29, 2017 from 6pm – 8:30pm for our Fall Open House! Learn more about our programs, ask any questions you may have, tour our campus, and much more. We look forward to meeting you.